Architect | Sana Ako si Ricky Lee! Just last night I received yet another call about a person who got the WISH FULFILLING AND BUDDHA’S BLESSING MANTRA PENDANT(1), and just like I said before, although I’m temporarily putting on hold accommodating requests of readers who are hoping to have the WISH FULFILLING AND BUDDHA’S BLESSING MANTRA PENDANT(2), unless one really needs it, I just love receiving testimonials about the pendant because it makes me feel good to have so many people get blessed thru the pendant. But before I share the story. The other day I requested that people who have requested for the pendant and has not received it to please email me using WFBBMP as the subject. However, even those who are simply wanting their email to be read started using it, in fact, I think more than half of the email that I received lately has WFBBMP as subject. I would like to take this opportunity to beg you, my readers, to please refrain from using it as a subject unless you’ve requested for the WISH FULFILLING AND BUDDHA’S BLESSING MANTRA PENDANT(3) and needs to inquire about the status. I beg you to please respect this request. Going back to the personal testimony. RM is a 32-year-old architect. He decided to go freelance for him to have a more flexible time to take care of his mother who is bedridden. He used to work for a company, but decided to do the big leap to going freelance because he found ut that he is unable to completely trust the hired help to completely take care of his mother. His girlfriend would help him but she also has to go to work. However, when he decided to go freelance, he found out that it was not as easy as he thought it would be. His clients didn’t exactly decided to go with him and he found himself without project. 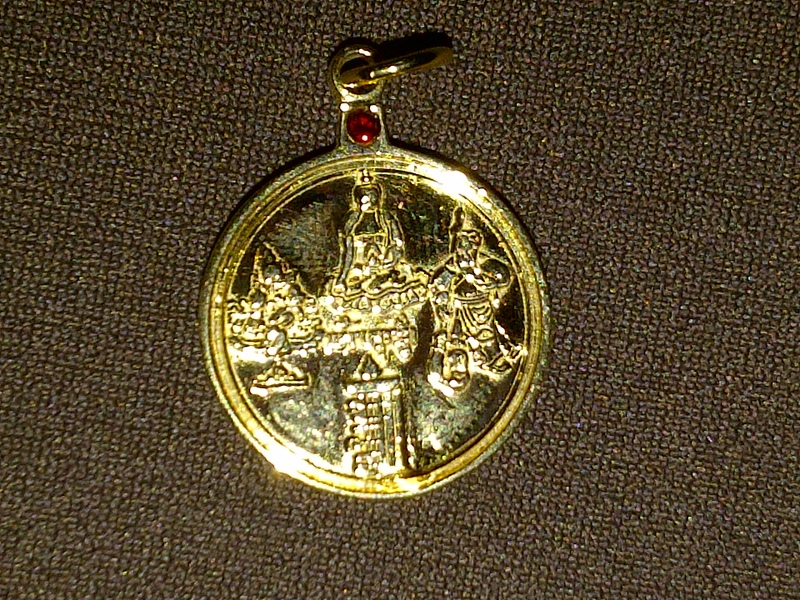 This is when he contacted me and requested fro the WISH FULFILLING AND BUDDHA’S BLESSING MANTRA PENDANT(4). As expected, RM was having second thoughts of getting something that is quite pricey, so I told him to think about it first. Nevertheless, he decided to take the risk and get the pendant upon the urging of his girlfriend. It’s been 11 months since he got the pendant, and last night RM called me because he wants to get another pendant for his girlfriend and mother, and he is the one paying for it. He said, he totally attribute it to WISH FULFILLING AND BUDDHA’S BLESSING MANTRA PENDANT(5) the financial stability that he is enjoying now. He said that a week after wearing the pendant he got a single client, then little by little things started to get better and more clients are getting his services. In fact, he now has hired another person to help him out. But that’s not all, his mother, while still bedridden now show signs of improvement and is more coherent when she speaks. RM said he believes that all these are because of the blessings that came his way when he started wearing the WISH FULFILLING AND BUDDHA’S BLESSING MANTRA PENDANT(6).